Wine Cocktails are refreshing and oh so delicious if mixed right. 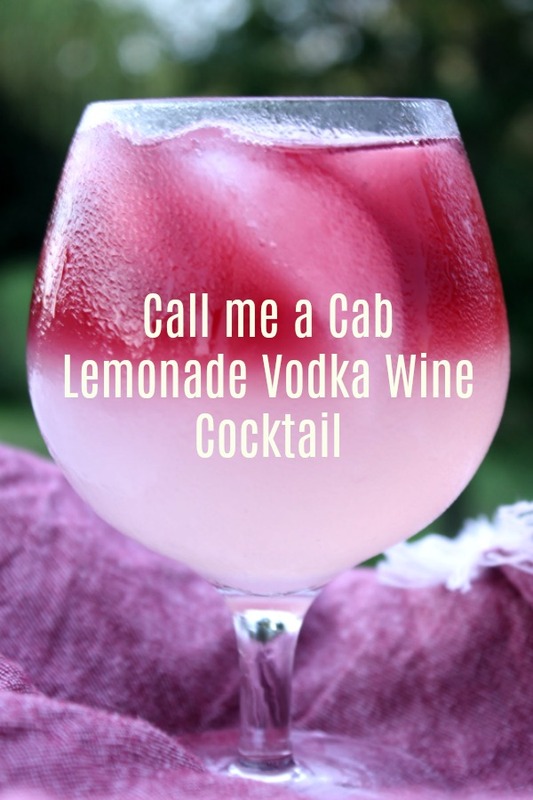 This Call Me A Cab Vodka Lemonade Wine Cocktail is the perfect blend of sweet, dry, and summer! Summer calls for cool drinks, sweet treats, and fun with friends. All the fun stuff doesn’t have to be for the kids, us adults can enjoy cool drinks and fun with friends too! That’s why I did some mixin’ in the kitchen and came up with some refreshing summer cocktails. 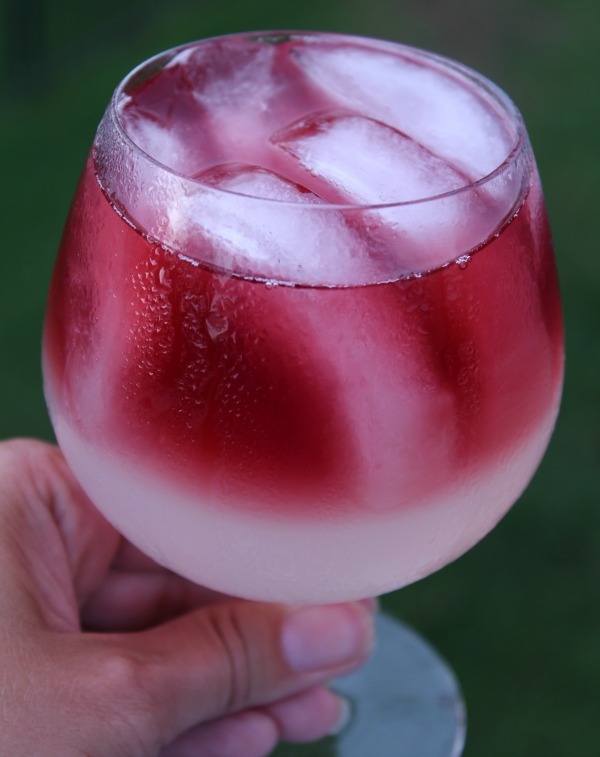 It’s no secret that I love a good glass of wine, and it wasn’t until I created my Aloha Sunset Wine Cocktail that I ever even thought of mixing wine with other liquors or even juices (unless I was making sangria). I mean, wine is amazing all on it’s own. And when I think of mixing wine with juice, I automatically think of grabbing for a bottle of Sauvignon Blanc or Pinot Grigio, both are lighter and a bit sweet at times and would blend nicely with a variety of concoctions I’m sure. But, I had a bottle of Cabernet Sauvignon in my hand and it’s about 95 degrees here in Florida, and I wanted to sit outside and watch the kids swim for a few. The Cab seemed a bit too dry (don’t get me wrong, I LOVE a good glass of Cabernet Sauvignon) for summer heat and pool watching, so I opened the refrigerator and grabbed for the kids’ lemonade. Sweet lemonade and rich Cabernet Sauvignon mix together to make this Call Me A Cab Vodka Lemonade Wine Cocktail the taste of a summer sunset! 0 Response to "Call Me A Cab Vodka Lemonade Wine Cocktail"